I’m not a Metro student (I actually go to DU) but I haven’t been able to find any atheist groups or resources on my campus. Can I still attend this talk? I’ve been dying to hear Dan Barker speak in person. yes of course! it is open to the public! BRING YOUR FRIENDS!!! I read Dan Barker’s book “Losing Faith in Faith: From Preacher to Atheist” many years ago. It’s one of my all time favorite books. It’s an entertaining, often humorous refutation of Christian mythology written from an autobiographical perspective. 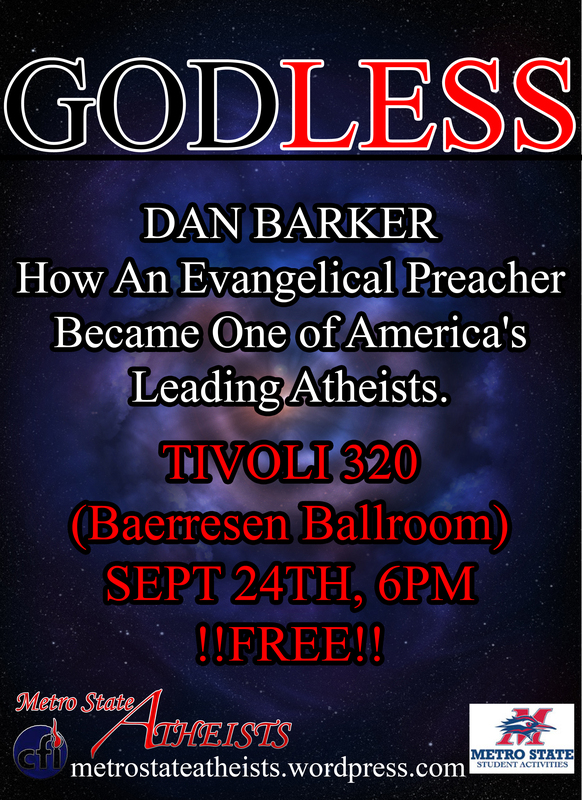 I look forward to attending Dan Barker’s talk. Thanks for bringing him to the Auraria campus.